Today I have the pleasure of welcoming author J.A. 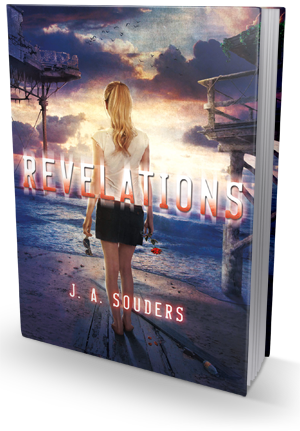 Sounders to the blog as part of a blog tour for her latest novel, Revelations (The Elysium Chronicles #2). We also have an awesome giveaway for you guys, so after reading the interview and checking out Revelations be sure to scroll down and enter! 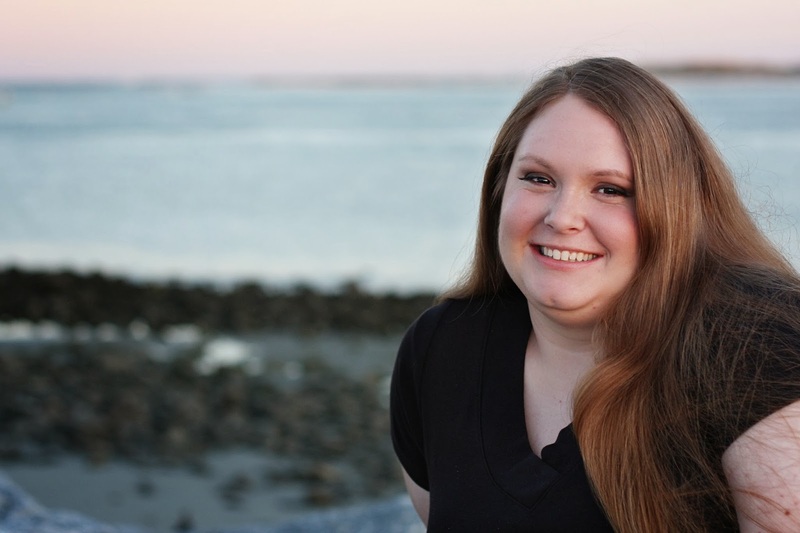 1) Welcome to Bookish, Jessica! It's a great pleasure to have you stopping by the blog today! Congrats on your most recent release, REVELATIONS! How would you describe your series to those who haven't heard of it yet? Thanks for having me! I’m so excited to be here. Thanks so much for having me!! This is always the hardest question I have to answer! Why must we always start with the hard questions? Lol. :) I guess the best (shortest) description is it's a YA science fiction thriller a la the Bourne Identity meets BioShock the video game. It's about a girl who's basically the princess of an underwater dome society who thinks everything about her life is “just about perfect” until she finds out she's being brainwashed by the very person she trusts the most. Her mother. 2) Was REVELATIONS any easier or harder to write than the first book in the series, RENEGADE? Renegade was definitely easier to write. At the end of RENEGADE, I pretty much wrote myself into a corner and it took many, many, MANY versions and rewrites to figure out how to use that to my advantage. But I’m quite happy with the final result. 3) Is there a message in your book that you want readers to grasp? Honestly, not really. I always say I write to entertain, not preach. And I want people to take away what they see from the book, not what I’m thinking. However, that being said since a lot of my inspiration for Renegade was based on a documentary about people’s perception of perfection, you could say I’m hoping people will consider that as they go through life everyone’s perception of “perfection” is different. We’re never going to please anyone and the thing that makes us IS our differences. And we should always be true to ourselves, no matter who or what that is. Don’t always do what everyone else is doing or saying you should do. Be yourself. There’s no one better. 4) What is your favorite part of the writing process? Least favorite? Well, my favorite part of the writing process is definitely going out to meet my fans and hearing what people thought about RENEGADE. It’s always a blast to hear people talking about my characters as if they’re real, because for so long they were only ever real to me and telling me their story. My least favorite is probably all the research you have to do for things and worlds to make sense and for the reader to trust that you know what you’re talking about. Even though I write science fiction that takes place in a future time and place, it’s amazing how much I have to know and/or research to see if this is even something that’s possible. 5) Are you a plotter or a pantser? 6) How did you get your first publishing deal and how did that feel? I got my 1st publishing deal the traditional way. Agent first, then editor. I actually was “picked up” by my agent by a series of fortuitous happenings. I sent off a cold query plus the first 50 pages thinking I’d probably never hear from her, but she sounded perfect for me and what harm could it do. A while later, I’m on the phone with another agent, who made an offer. I let Natalie know and shebang! She finishes reading the entire story and offers rep a few days later. After that it was a series of rejections and I decided I needed to go back to the drawing board. When I finished, I gave it to Natalie, she helped clean it up and off it went back to the edtiors. A few weeks later I got “the call” saying Renegade had sold. It felt amazing. Not only did I finish a book, but I sold it as well. I was floored and happy and giddy for days. 7) When is the next books in the series due out? Any hints on what will happen in book 3? Unfortuanately I’m not exactly sure when R3 is coming out, but probably Winter 2015. And nope. No hints. Anything I’d give would spoil REVELATIONS and I’m a no spoilers type of gal. But I will say that I think it’s definitely the best in the series and it’s different than anything else I’ve written. It was also probably the hardest book I’ve ever had to write! 8) What books are on your December TBR pile? Well, a lot of books I’m reading are from crit partners, but I’ll probably try to slip in a re-read of Catching Fire so I can go watch the movie. The Eternity Cure by Julie Kagawa. And Horde by Ann Aguirre. 1 Signed set of Renegade and Revelations, 1 scrabble tile pendant with covers of both books, and a $25 gift card to Amazon or B&N! 1 Signed set of Renegade and Revelations and 1 set of scrabble tile pendants with covers of both books. Six weeks after her arrival on the Surface, Evelyn Winters is no closer to unlocking the memories lost in her subconscious than she was when she first came. Isolated in a strange new society, Evie has only Gavin Hunter to remind her of who she once was. But even with a clean slate, it’s easy to see that Evie doesn’t fit in on the Surface. And as her differences make her feel more and more alone, she can’t help but yearn for that place she doesn’t remember: the isolated city hidden in the depths of the ocean. Elysium. Home. But she can’t exactly tell Gavin what she’s feeling. Not when he’s the one who helped her escape Elysium in the first place, and has the scars to prove it. Though the doctors say otherwise, Gavin believes that Evie just needs time. And if her memories don’t come back, well, maybe she’s better off not remembering her past. But the decision may be out of their hands when Evie’s ever-elusive memories begin to collide with reality. People and images from her past appear in the most unlikely places, haunting her, provoking her…and making her seem not only strange but dangerous. J.A. SOUDERS is the author of the Elysium Chronicles and lives in the land of sunshine and palm trees with her husband and two children where she spends her time writing about the monsters under the bed, day dreaming about living in an underwater colony, and failing miserably at playing video games.